I used Red Heart Yarn in 2 colors of pink and one color of brown ..I previously made this set for a boy , you can see that here .. 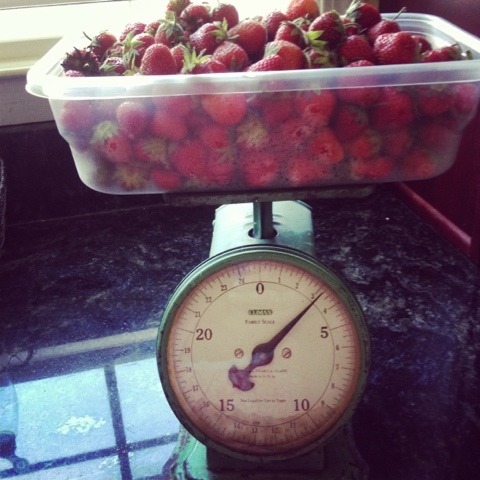 I have picked strawberries 3 times now out of the garden for a total ( so far) of 7-1/4 pounds.. Not too bad for my little patch ! I have made baby spinach , strawberry, apple and bacon salad with a balsamic vinagrette twice ( so good) ! 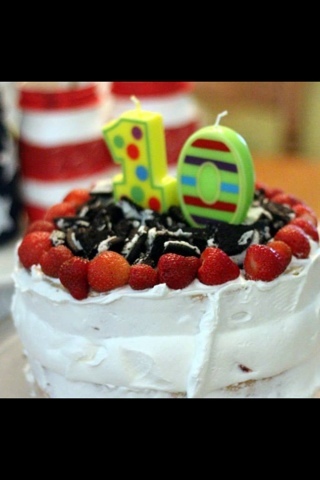 It was the oldest grandsons birthday on Sunday , so I made a white cake , bought some of that cool whip frosting ( its very good) used that in the middle with some strawberries , then topped it with more frosting , fresh strawberries and crushed oreos ! Looks fancy but so easy ! We have been having unusually cool weather in the low 50's last night , that it seems our garden is not growing as fast as it should! Supposed to be in the 90's this weekend so hopefully that will help. The only thing that is growing really good are my potatoes in pots ! They are huge ! 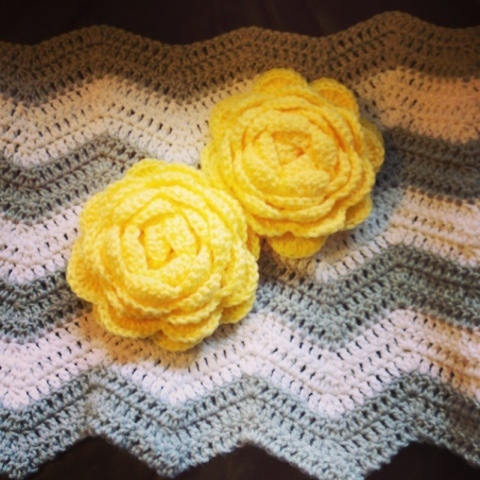 This is my current crochet work in progress.. My daughter wants to do her room in grey and yellow, and she wants a chevron pattern..So I am making a grey and white ripple blanket and I found the pattern for these huge roses on pinterest..They are at least 6 inches across.. I plan on doing a couple clusters of them and maybe some smaller ones too on each end... here is the pattern for the roses. 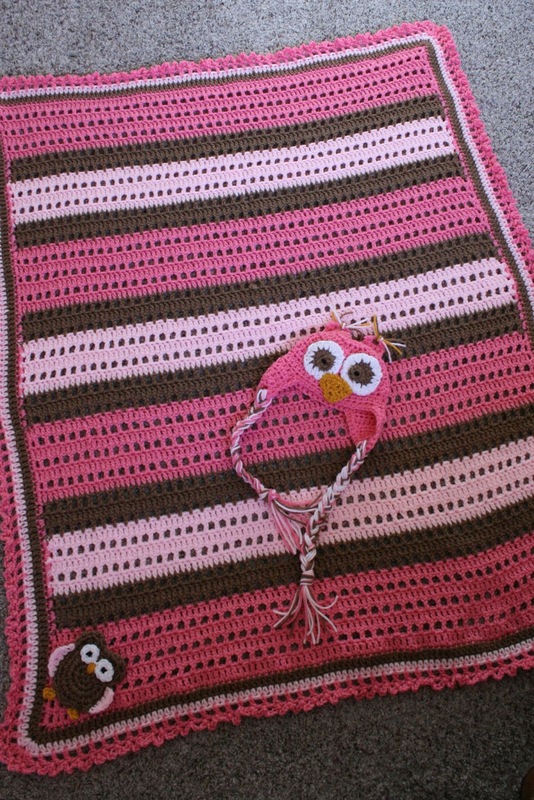 I am about 3 times this far on the blanket right now..
Everything looks so good!! 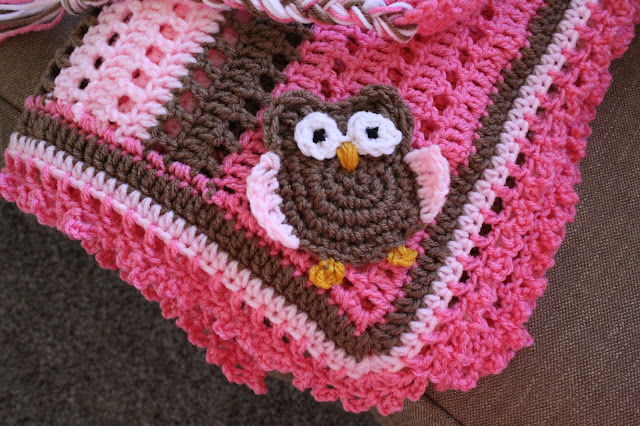 I love that owl set ~ the colors remind me of those coconut candies! Those owls are super cute! My friend would have loved them for her baby girl last year! 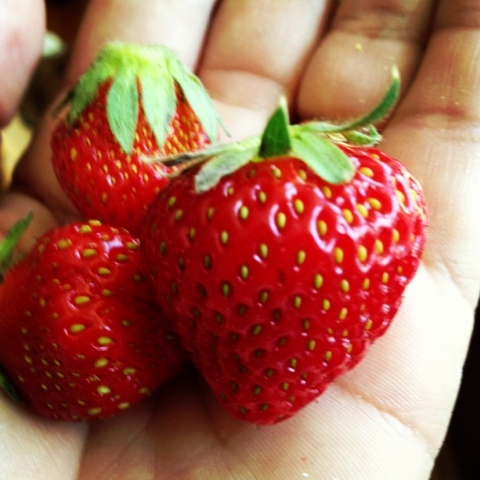 Also, whoa on the strawberries, they look incredible!! Adorable! The requestor will lovvvve this! I like the colors! Great work! How pretty ... The blanket and hat is adorable! The owl set is just adorable . 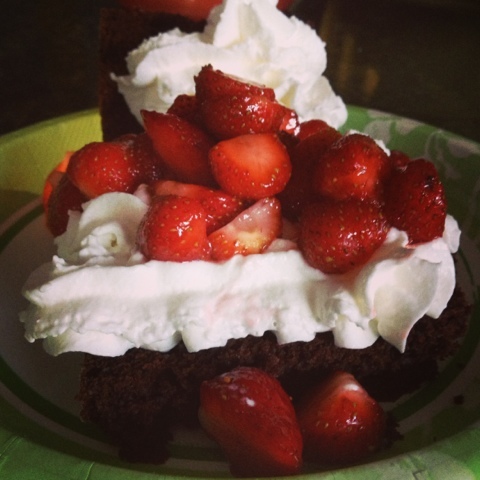 What a good use of your strawberries! It all looks yummy. 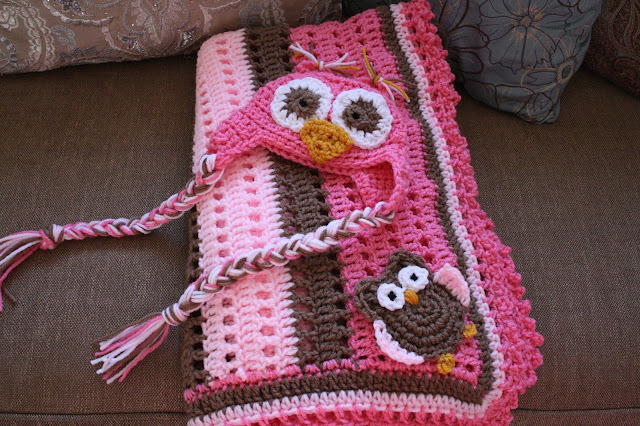 Seeing projects like this makes me want to pick up crocheting. I'm thinking next year after we have our farm up and running I'm going to start. Priscilla, the baby set is so darn precious. Love, love it! I love strawberries and putting them in a spinach salad is one of my fav's. I have a recipe for a strawberry dressing that is so delicious. Love the grey and yellow blanket you've started for your daughter too. Thanks for sharing with SYC. 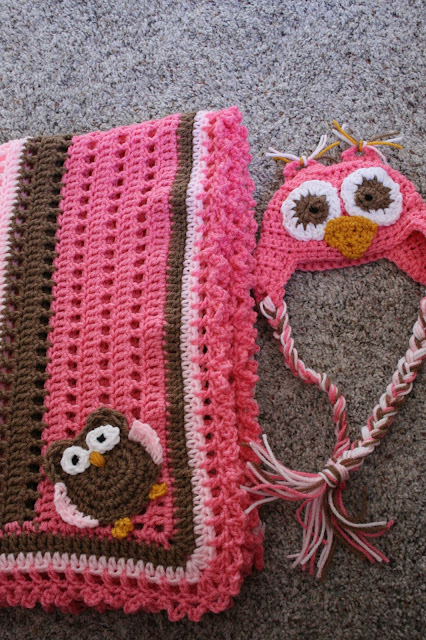 Cute owl hat and blanket! I love the owl you crocheted on the blanket. 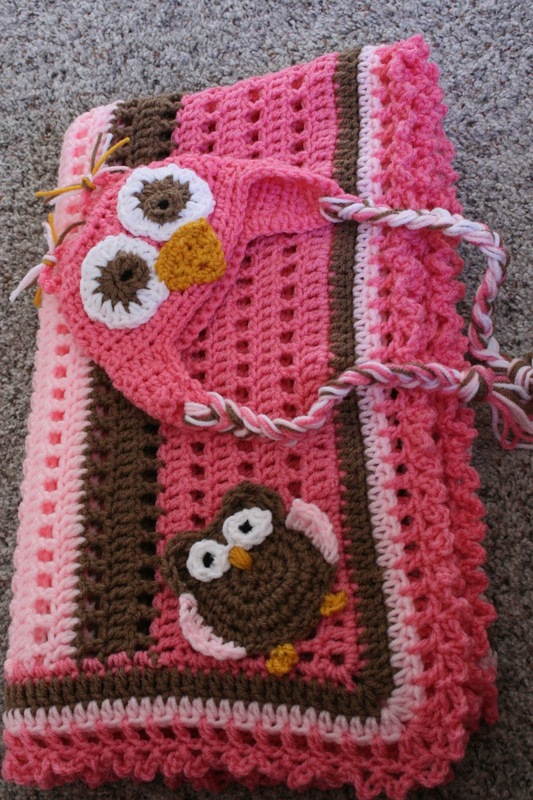 I made a blue owl blanket and hat set a few months ago for my cousin. Oh, I also love the yellow roses you crocheted, too! The owl set is sooooo super-super cute!! I will be pinning that for sure!! I don't normally refer to my own projects in a comment, but since I saw your owl hat, I wanted to share the penguin hat I made for my daughter. 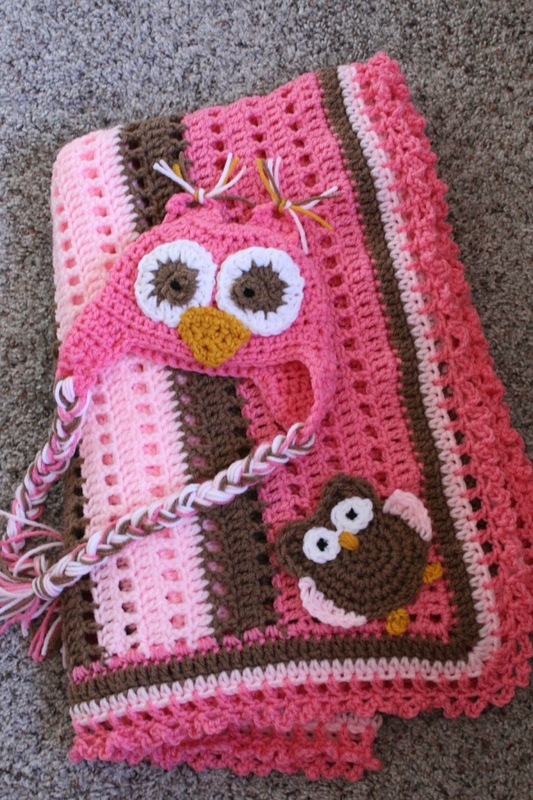 Love the owl blanket and hat, Can you tell me where I can purchase the pattern? Is there a pattern for this and how can I make it bigger? Ever tried maximizing your free satoshi claims with a BTC FAUCET ROTATOR?